Dan Ben-Nun is a young entrepreneur whose love for fashion and culture inspired the idea behind Inkkas Shoes. He wanted to be able to use handmade textiles from South America to not only make uniquely original footwear, but also to help the people who make these textiles. Dan is a person who doesn’t care primarily of his own success. His vision is to create a business that benefits a plethora of communities. He wants to touch the lives of consumers by sharing the stories of the people who made the production of these shoes possible. 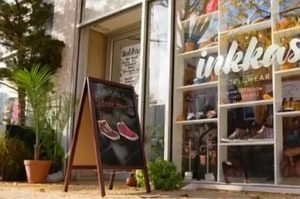 Inkkas Shoes became a great hit at their Brooklyn, New York location. However, Dan is an inexperienced CEO who has a lot of passion and not a lot of tact. His eagerness to order new textiles and produce new products have been putting Inkkas Shoes into the hole. Marcus Lemonis is exactly the kind of person he needs to help him build a proper business model to keep this company from going belly up. Hopefully he will be able to see the goodness in it’s mission and see enough potential to help save it from bankruptcy. Marcus enters the Inkkas Shoes location and it’s pretty obvious from the start that things are pretty cluttered. There are three walls displaying the merchandise. Directly behind those walls is a small office where the three business partners do their work. Dan is in charge of the ideas and designing. Dave is responsible for operations and financing. Then finally, David is left with the task of manufacturing and sourcing. All three of them really only learned how to generally work a business through trial and error. And although Lemonis is pretty impressed, it’s clear that they are in desperate need of some help. Marcus’s shoe trying experience was a relatively stressful one. After requesting to try on three different shoes that they were unable to find, he became pretty frustrated. Not only that, but the ones he did try on were relatively uncomfortable and not well made. He then finds out that hardly any revenue is made at the actual store. They’re only making a fraction of sales in store compared to what they are making via wholesale and their website. Inkkas Shoes is currently on extremely thin ice because they started the company with too much ambition. 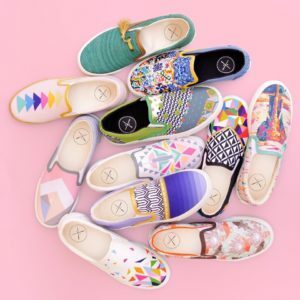 Dan has created and launched so many new shoe designs (it costs around $16k to launch one new style of shoe) that the business is in the hole and not generating that much revenue. 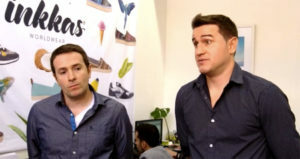 Their anticipated $3 million in annual sales dropped down to $1.5 million because things haven’t been taking off the way the trio expected them to. If things don’t turn around for them soon, there is no denying that they will end up going out of business. However, they are all fighters and will not go down without trying. All four of the men sit down to go over the numbers and what Marcus finds is that they haven’t been keeping their records straight. Almost $400k is missing. All three of the co-owners have been struggling and none of them are getting paid. Despite all of this though, they are sticking together and Marcus can see that. With the proper training, he believes they can make this work. He offers them $700k for 51% of the business. What he wants to do is resolve their debts and sort out all their business issues. Dave, however, has a problem in signing off all control in the business. Inkkas Shoes is something they started themselves. After some discussion, Marcus decides to come down a little in his offer. Instead he proposes that he give them $600k for 40% of the company, in addition to a guaranteed 10% return. He wants to be able to make this work because he sees the potential in the business. This is an offer that all three of them are way more comfortable with. They ended up accepting the deal and still decided to leave most of the control in Marcus’s capable hands. Inkkas is in desperate need of an extreme makeover and Marcus knows he’s the man to handle the job. Since appearing on the show and making a deal with Marcus, Inkkas Shoes has gone through a few changes and seen some pretty good success. After changing their Twitter handle to Inkkas Worldwear and a major website redesign, Inkkas Shoes opened up a contest for fans. The idea is that everyone submit new design ideas for a slip on shoe and whoever wins will receive a royalty on every shoe sold. If you’re interested in checking the competition out, simply follow this link https://twitter.com/marcuslemonis/status/691460297329098752 . In addition to creating contests to reign in the interest of customers, Inkkas Shoes also teamed up with TreesForTheFuture. In their OneShoeOneTree project, Inkkas will plant a single tree for every pair of shoes that are purchased. It is the company’s way to stick to their roots and really give back to communities and the world. Their goal isn’t to be just another shoe company. They want to make a difference in the world and they are holding true to that promise. 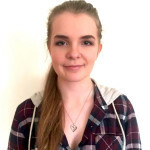 If you’re interested in checking out Inkkas designs, follow their website https://inkkas.com/. Although most of their products are pretty expensive, just keep in mind the story behind the shoes and where the materials for them come from. On their About section, there’s a video explaining where the textiles are made and what the company’s mission is.